In a world of constant updates received through social media such as Twitter, Google+, LinkedIn and numerous others, it’s no wonder the consumerization of IT exists. Employees want that same simple form of communication they use in their everyday lives in the workplace. They want to work the way they live. Businesses are quickly adapting to this consumer technology for a number of reasons. First, people have become accustomed to collaborating through their mobile devices via texts, voice and video. In turn, as companies allow employees to collaborate with that same form of communication, messages between co-workers can be sent in a much more efficient manner. Second, why not take advantage of all that social networks have to offer? Consumers actively engage and are connected to social sites. Now, businesses can leverage these channels of communications. A prime example of this is Google Chat, an instant form of communication allowing employees to engage with each other via text, voice or video. Businesses have complete control over how these communications are administered and archived. If desired, these messages can also be resurfaced through eDiscovery. Google Chat proves to not be as intrusive as a phone call, but also not as asynchronous as an email. It provides a form of communication that rests comfortably in between the two. In addition, Google allows for 15-person video conferences, screen shares and document collaboration. Consumers already use similar technologies such as Facetime, Skype and Facebook Video Calling that can now be substituted with Google+ Hangouts. With the simple click of a button, a Google Chat conversation can instantly be morphed into an on demand video chat, enabling a greater level of engagement. Third, people enjoy the freedom and time saved when they are able to be productive on the go. No matter the time of day, where they are or what device they are on, workers have the ability to communicate. 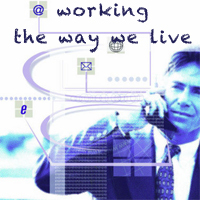 Companies who have adopted BYOD policies have allowed their workers to collaborate at anytime from anywhere. Another benefit of consumer technology is that it drives innovation in the business place. Employees increasingly expect the same capabilities from their work applications as they have at home. For example, a typical personal webmail inbox today holds 10GB and can be searched in an instant whereas the typical work inbox is a small 500MB with slow or poor search functionality. Overall, what has been adopted by people in their personal lives has become the way people communicate and collaborate in the business world. Author Bio: Founder of Cloudbakers, bicyclist, family man, and former CIO. 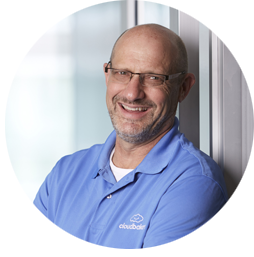 Mitch brings his valuable experience, coaching, and client-focused mindset to the Cloudbakers culture every single day. Developing solutions is his ultimate passion.